PULLMAN, Wash. – Washington State University students are serving as consultants to Starbucks and other coffee companies as part of a two-year international development project. It aims to provide hands-on learning and career opportunities in agribusiness for Rwandans – and especially for women. PULLMAN, Wash. – Like millions of Americans, my day starts by plugging in the coffeepot. In my case, it’s an old fashioned percolator. It clears its throat and brews my coffee while I rub sleep out of my eyes and brush my teeth. PULLMAN, Wash. – When java giants like Starbucks seek out the finest fair trade coffee beans in Guatemala, insects can make all the difference. Rock Doc column: Have a cup of joe to help your eyes? PULLMAN, Wash. – My day starts with coffee. I’m too cheap to buy it by the cup from baristas, so I just brew my own Folgers by the pot. 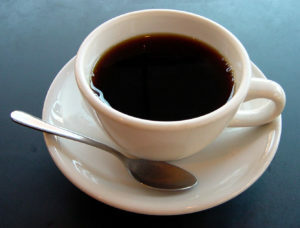 I have a cup or two as I settle into work each morning and another cup – sometimes two – in the early afternoon. That may not be wise for a chronic insomniac like myself, but it’s a lifelong habit that at this point would be quite tough to break. Daniel Jaffee is the first Sociology faculty member at WSU to win this award. He was recently honored at the SSSP Annual Meetings in Boston. March 19, in Room 2025 of the Information Technology Building. The event, open to all interested, is sponsored by Area 25 Diversity Awareness Group. -Deepen your understanding of what it means to be a stranger in a strange land. Wanted: Good-hearted local residents willing to share friendly conversation and a home-cooked meal (or even a store-bought pizza) with international students who want a fuller picture of American life. This fall about 80 international students have signed up for WSU’s Friends and Family program. But, Ben Colston, international student adviser, said he only has about 20 local families to match them with.